Isabel Menzies Lyth was that rare combination, a distinguished psychoanalyst and social scientist, and was a pioneering figure among the founding group of the Tavistock Institute of Human Relations in London, when psychiatrists and psychologists who had worked together in wartime applied their skills and understanding of groups and organisations to the challenges of the post-war world. Her achievements are recorded in her collected papers, Containing Anxiety in Institutions (1988) and The Dynamics of the Social (1989). In the most famous paper, "The functioning of social systems as a defence against anxiety" (1959), drawing on her experience of working with nurses at King's College Hospital she was able to analyse the dynamics of an organisation in a new way, exposing the hierarchy as protective of self-interest and self-doubt in managers and subordinates. She was born in 1917, in Dysart, on the east coast of Fife in Scotland. She was the fourth child of the Rev Hugh Menzies, and the only daughter of his second marriage. 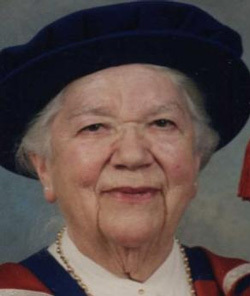 With a double first class honours degree in economics and experimental psychology, Isabel Menzies became a lecturer in economics at her university, St Andrews, where she remained from 1939 to 1945. A vacation job was at the War Office with Eric Trist, one of her psychology teachers. He arranged her transfer to the War Office Selection Board (WOSB), which was employing new psychological testing methods for the selection of officers. Here she met future colleagues such as John Bowlby and Hugh Murray. She later joined the Civil Resettlement Headquarters of the British Army, established to help ex-prisoners of war. Isabel Menzies became one of the small group of creative and dedicated social scientists, including her mentor Trist, who, after the war, worked at the Tavistock Institute, continuing the legacy of applied psychological work begun during the war in military hospitals, officer selection and civil resettlement. This understanding of individual and group psychology was then applied to the workplace in post-war Britain. Others in this group were Elliot Jaques, Harold Bridger and Wilfred Bion (who later became her analyst). She became a highly regarded child and adult psychoanalyst in the Kleinian tradition, and continued to develop an equally distinguished career as a researcher and consultant, most significantly in the context of nursing and healthcare. She was a powerful presence at the famous Leicester conferences on authority, leadership and organisation, and was never afraid to explore the psychotic nature of groups. She would also get down on her knees with flip-chart paper in the children's ward at the Royal National Orthopaedic Hospital, working with the nursery nurses to see how they might organise their rotas in the best interests of the children. Applying Bowlby's theories about the need for attachment in early life, demonstrated by James and Joyce Robertson in their ground-breaking films observing young children separated from their mothers, Menzies worked on what she called "the art of the possible" in looking after the psychological needs of small children in hospital. This included locking the door against the casual interventions of hospital staff. "The Tavistock says that picking up children is wrong!" was the outraged protest. Not wrong; just not 50 times a day by all and sundry, was her succinct reply. In her consultancy she believed in being a role model for her clients, offering clarity of thinking, reliability and integrity in action. Her enthusiasm for action research was undiminished and she consulted to another major study of day nurseries in which staff learned to observe children closely and take individual responsibility for them in small groups rather than caring for them all indiscriminately. Isabel Menzies was in demand as a psychoanalyst, both therapeutically, often being asked by her colleagues to work with their children, and as a training analyst and superviser to a wide range of therapists and students. In 1975 she moved to Oxford and married the psychoanalyst Oliver Lyth, who died in 1981. She acted as consultant to a number of institutions, including the Cotswold Community, a residential school for adolescent boys, child guidance clinics, and a rehabilitation unit for patients with intractable psychotic disorders. She continued offering highly valued supervision after retirement. When no longer able to travel, something she loved, she enjoyed new pursuits, such as local history and leading a group studying psychology for the University of the Third Age. She was granted an Honorary Doctorate in 1997 by the University of East London and this recognition gave her great pleasure. She described herself as contented with her friends, her cat, her view of the garden of her beautiful house in Iffley, and her store of good memories. Isabel Menzies Lyth could be fearsome, and going against her will was a hazardous act. If these were faults, they contributed paradoxically to the affection in which she was held. They were more than made up for by her being immensely kind, loyal, compassionate, and generous with her friendship and understanding. Isabel Menzies, psychoanalyst and social scientist: born Dysart, Fife 12 September 1917; staff, Tavistock Institute of Human Relations 1946-75; married 1975 Oliver Lyth (died 1981); died Oxford 13 January 2008.